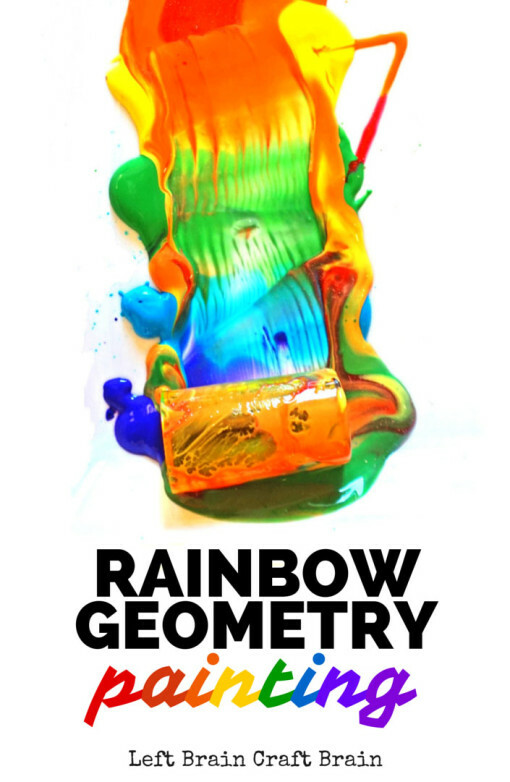 Somewhere over the rainbow lies a fun way to learn geometry. I promise. 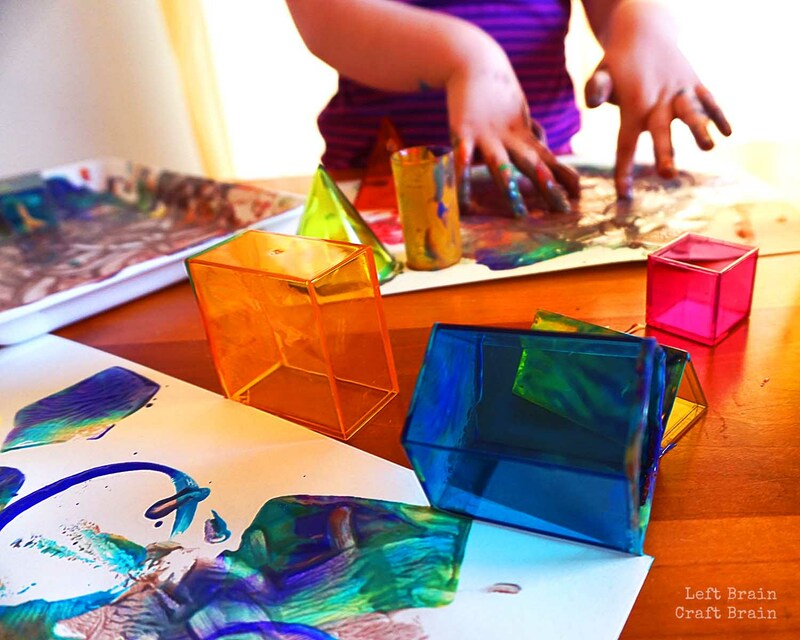 Because there aren’t many better ways to learn math than by combining it with bright colors and messy paint. 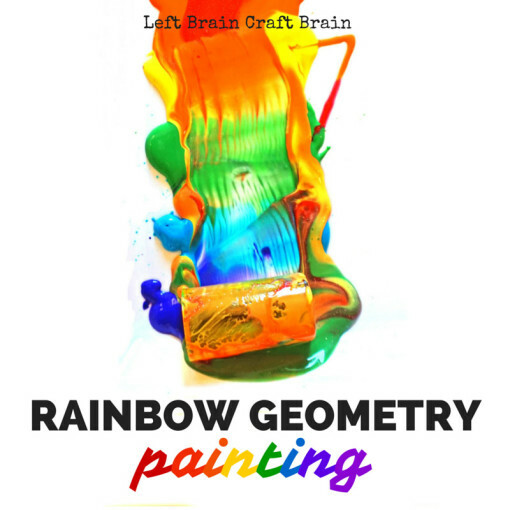 Well, maybe candy, but this comes in close second :) Rainbow Geometry Painting is as easy as laying out the supplies and letting the rainbow creativity happen. This post contains affiliate links. 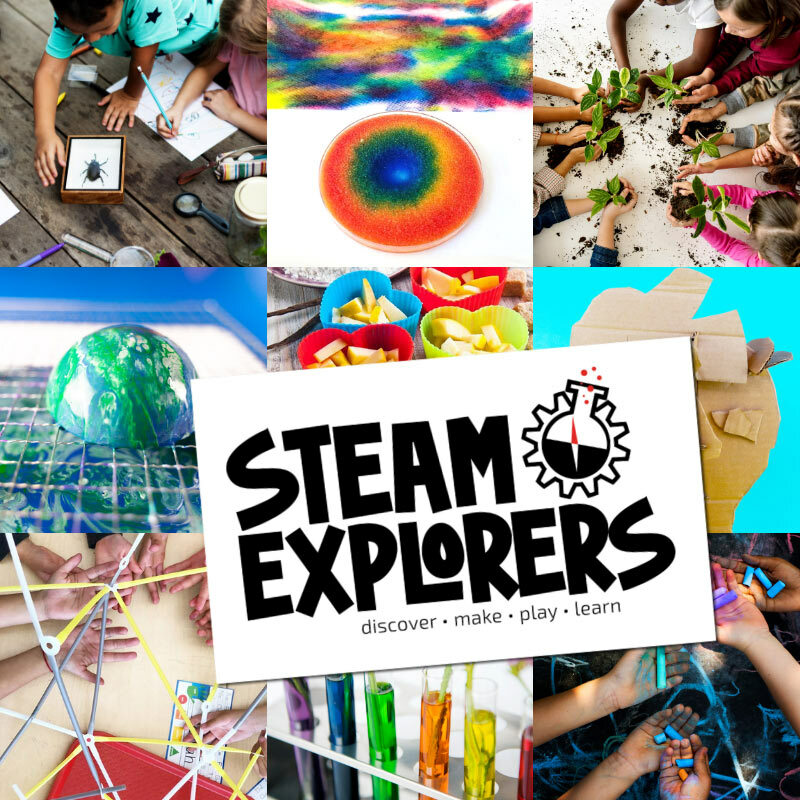 Which shapes do you think will roll the easiest through the paint? Why? How many sides does shape A have? What is it called? What happens when you mix color A & B? What makes a rainbow in the sky? Where were we the last time we saw a rainbow? Love color as much as me? 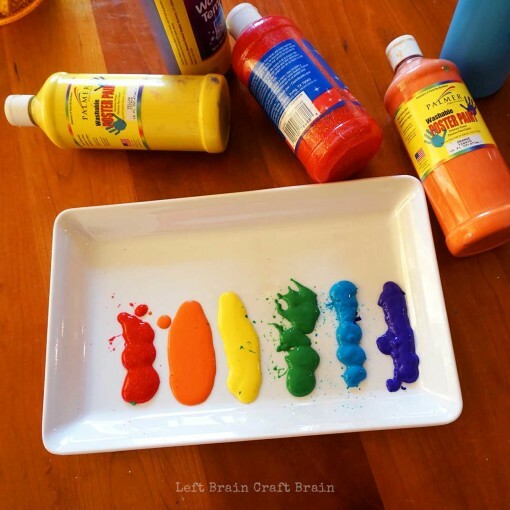 Follow the Left Brain Craft Brain Color Creativity Pinterest board. 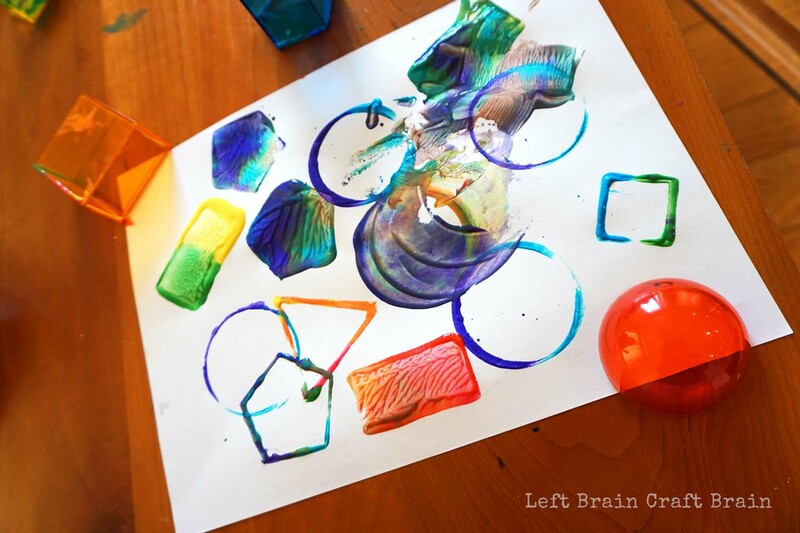 Follow Anne @ Left Brain Craft Brain’s board Color Creativity on Pinterest.